Sorry... the 2016 Kia Forte Koup is no longer being sold as new. 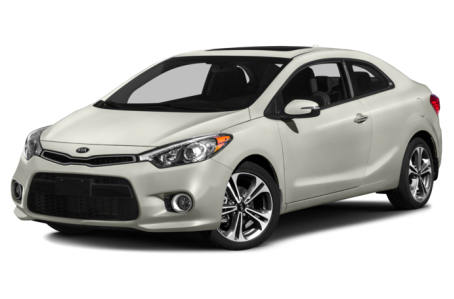 The Kia Forte Koup is the third body style of the compact car, which is also available in sedan and four-door hatchback form. A turbocharged four-cylinder engine is available, and the Forte Koup competes with the Hyundai Veloster and Volkswagen GTI. Two trims are available: the EX and SX. The EX trim level has a backup camera display.